Lisamarie from Beauty Crazed is way too lazy to have to deal with sharpeners and thinks twist up pencils are the way to go - check out her Revlon, Annabelle and Clinique swatches and see if you agree! Phyrra lets her skin shine through with Urban Decay Naked Skin Liquid Foundation. See why she loves it! This hemp-based oil has stopped Gouldylox's nails and cuticles from looking like farm animals gnawed on them. If you have weak nails or brutal cuticles, you should check this out! Jenny finds summer in a tube AKA Clarins Crystal Balm in Crystal Coral. See her review and FOTD on My Funny Valentine. Bun Bun Makeup Tips shares her Makeup Tutorial for Hooded Lids - Vertical Gradient Method of Eyeshadow Application! Love matte finishes, violet eyeshadow, or Lana Del Rey? Then you need to check out this violet and black smokey eye makeup look on theNotice! Do you need a little sparkle in your life? If so, Shannon from Lipstick Musings has exactly what you're looking for with Deborah Lippmann's Razzle Dazzle ! Looking for the perfect lip crayon? Check out this Canadian Beauty find over at Spiced Beauty Blog. FabDiva20 has been on a Sugarpill rampage and purchased two amazing Chromalust Loose Eyeshadows from Sugarpill! Check out her Sugarpill Hysteric and Birthday Girl reviews and swatches! Have you ever wondered what's involved with a keratin straightening treatment? Lisa from Beauty Info Zone had the NV BKT Treatment done and explains it step by step for you. Check out what Steal My Heart Lovee has to say about the Laura Mercier Oil-Free Tinted Moisturizer. Check out Krasey Beauty's latest face of the day, full of brights from Sugarpill and Make Up For Ever! Fleurissante shows you the swatches of Guerlain Shine Automatique lipsticks. Keeping your over 40 skin youthful and dewy can be tricky. Prime Beauty gets her JLo Glow with the new BECCA Shimmering Skin Perfector in Moonstone! Shard glitter - the coolest glitter type yet! Musicalhouses shows you Cirque Potosi, a gorgeous mix of glitter shapes and colours! Got frizzy hair? Find out which product will tame it on My Lips But Better. At Musing on Beauty, Mariella tries a micellar lotion from the Himalaya! Will it work as good as Bioderma? Check it out! Check out Midnight Violets informative bronzer post. Including application, favourites & tips! Fall is coming and Anita has been enjoying testing out 3 shades of Guerlain's new liquid lipsticks, Rouge G L'Extrait. See what she thinks of them over on Pleasureflush. Want to hear about a shower gel that cures headaches and makes you smell divine? Hear all about Lush's Flying Fox and its miracles at Adorable On Your Vanity. Jude reviews Veet EasyWax Electrical Roll-On Kit and concludes it's the best at home kit for salon results! Beauty Reflections shows you her favourite Fall 2012 eyeshadow palettes, the Shu Uemura Chocolat-Donna palettes! Are you both oily and sensitive? 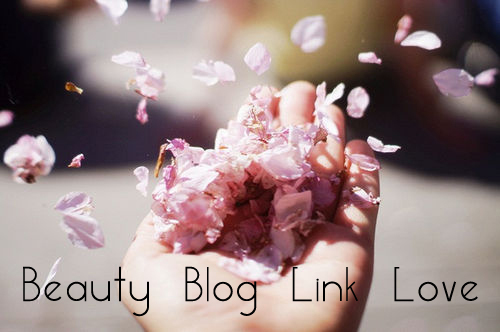 Not to fear, Miss Beauty Nerd has the perfect regimen for you! Makeup, Beauty & More reviews and swatches some of the hottest fall nail colors by Zoya! Pammy Blogs Beauty is Too Faced's "Beauty Blogger of the Month" for August 2012! Come check out the announcement post and enter her $25 Too Faced Gift Card Giveaway!